This town 30 minutes outside Kansas City is looking better than ever: It recently completed a two-year-long redevelopment of its downtown. Perhaps the best thing the place has going for it is the excellent school system (Lee's Summit students test very high in math and reading). The town's housing market has also begun to see signs of life lately. The downside: The local unemployment rate is greater than the national average. --J.S. 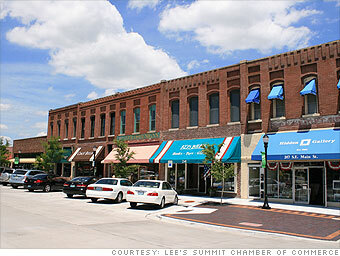 Is Lee's Summit a great town, or what? Deduction is limited to $10,000 for joint returns and $5,000 for individuals in Missouri and Montana, and to $5,600 in Oregon.